Tee off from one of three Audubon International Certified Sanctuary golf courses. Designed by Pete Dye, Bobby Weed and Tom Fazio, our pristine courses have earned Omni Amelia Island Plantation a "Top 121 Golf Resorts in the World" ranking by Conde Nast Traveler. Follow up your tee time with a relaxing afternoon at The Spa or dining at any one of our nine superb restaurants. THE PLAYERS Stadium Course was built to challenge the pros like no other golf course had done before, while providing an unprecedented experience for spectators at the same time. 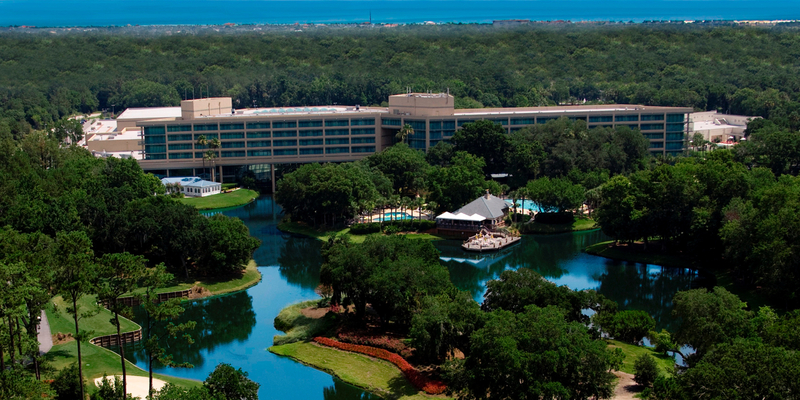 With over 1,220 holes of golf, Jacksonville and the beaches is the ideal spot for golf vacations. Northeast Florida is home to more than 70 public and private courses. 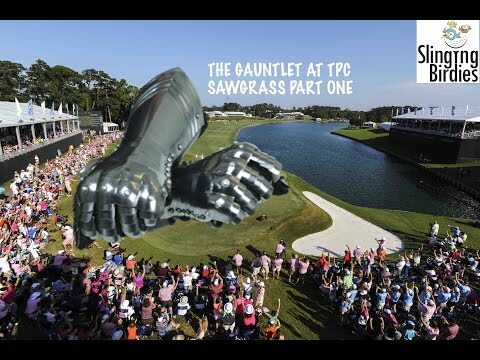 Each May, the PGA Tour makes a stop in Ponte Vedra for the THE PLAYERS Championship. World Golf Village, located in St. Augustine, celebrates the history and sport of golf with the World Golf Hall of Fame. Courses throughout the area were designed by the likes of Tom Fazio, Pete Dye, Arnold Palmer, Jack Nicklaus, Gary Player and Mark McCumber. King & Bear, located in the World Golf Village, is an 18-hole championship course by co-designers Arnold Palmer and Jack Nicklaus, making it one of Florida's premiere courses. The course features loblolly pines and open meadows on the front nine while the natural beauty of 200-year-old live oaks with huge shady canopies compliment the back nine. The Slammer & Squire championship course, located at the World Golf Village, was designed by Bobby Weed with player consultants Sam Snead and Gene Sarazen. With the intent to be both fun and interesting, the course features five sets of tees to choose from to accommodate a player of any ability level. The Slammer & Squire has hosted several nationally televised events including the Liberty Mutual Legends of Golf and numerous champion events. The 'King' himself, Arnold Palmer, designed The Golf Club at North Hampton in Fernandina Beach. This par 72 championship design is wrapped around over 10 crisp, spring-fed lakes lined with coquina boulders and elevations over 40 feet. The wild grasses and rolling hills give you the feel of an old Scottish links course. Be the first to play one of Florida's newest creations. The Golf Club at South Hampton, located in St. Augustine, offers every golfer the appropriate risk-reward situations that challenges the experienced player and offers encouragement to the novice. Sixteen large lakes and over 60 contoured bunkers, in combination with meticulous landscaping, provide players with a superbly conditioned facility. The distinctive layout will test shot-making abilities and require the use of every club in the golf bag. Located in Jacksonville, the Windsor Parke Golf Club was given four stars in "2002 Places to Play" and rated the 4th best new course in the nation for Golf Digest. The publication, Golf News, rated it in the top 100 golf courses in Florida. The National Golf Course Owners Association recognized the course as being "beginner-friendly." Home of THE PLAYERS Championship, the Tournament Players Club at Sawgrass is unique among the nation's finest golf facilities. The TPC is a semi-private resort course that offers the avid golfer the ultimate golf experience. Be sure to try your luck at the famed 17th green island hole. Get a free customize golf package for Jacksonville - Palm Coast? TripAdvisor.com provides a destination guide for Jacksonville - Palm Coast complete with reviews, things to do and deals on restaurants, flights, and lodging. 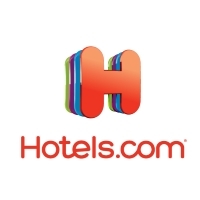 Looking for hotel rooms in and around Jacksonville - Palm Coast? Looking to travel to Jacksonville - Palm Coast? Looking to travel and golf in Jacksonville - Palm Coast? 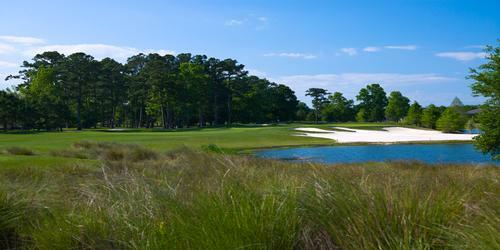 Oak Marsh is one of the truly classic Pete Dye-designed golf courses in the world. Recently renovated, this beautiful Florida course, built in 1972, is noted for its tight fairways and small greens, meandering along serpentine salt marsh creeks and through the moss-draped heritage oaks for which Amelia Island is famous. Soon to Be the Best Golf Value in Palm Coast, Florida - Again! Been to Jacksonville - Palm Coast? Write a review to help future golfers plan their golf trip.